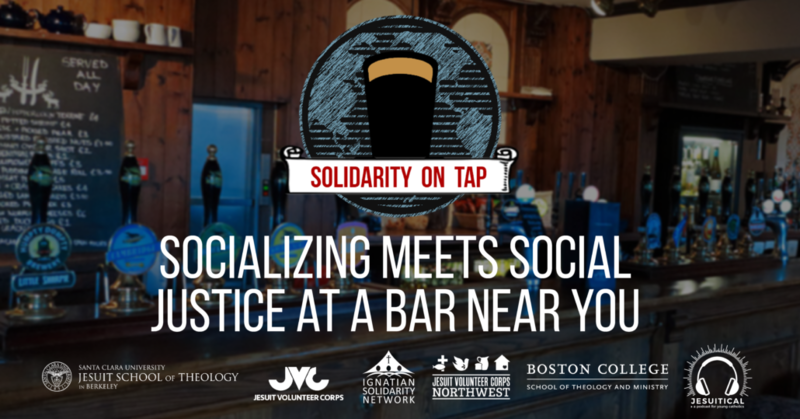 Solidarity on Tap is a simple gathering for socializing and social justice. The Ignatian Solidarity Network, Jesuit Volunteer Corps, Jesuit Volunteer Corps Northwest, Jesuit School of Theology of Santa Clara University, Boston College School of Theology and Ministry, Jesuitical and local partners welcome all to Solidarity on Tap | Milwaukee. Food and beverages (alcoholic and non-alcoholic) will be available for purchase. All are welcome (21 and over). Around 7:30 pm, Matt Wooters, SJ, school social worker at Nativity Jesuit Academy will be speaking with a Q&A and conversation to follow.